Established in 2013 with its headquarters residing in Shenzhen City, China, FreeMax made its entrance into the vapor products industry to deliver high quality, innovative products that could shape the vaping landscape. It has been able to achieve fascinating success by researching, developing, and manufacturing some of the industry’s most iconic hardware, such as one of the first sub-ohm tanks in 2014, and one of the first sub-ohm tanks with mesh coils when it created the FreeMax FireLuke Mesh Tank. As an alternative to this incredible tank that we’re going to write this preview about, there is also the FreeMax Mesh Pro Tank, which has gained a lot of popularity due to its mesh coil system and large e-liquid capacity. The FreeMax Mesh Tank is a brilliantly crafted piece of hardware that’s designed purely for your satisfaction, starting from its incredible quality to its appearance to its many features that promote an extraordinary performance. The design is flawlessly executed, boasting cross patterned lines throughout the chassis that plays in with the focus of this tank, which is the mesh heating element. 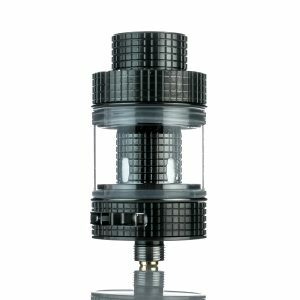 Everything from its external appeal to its internal complexity, the FreeMax FireLuke Mesh Tank is a marvelous work of art inside and out. It’s constructed of a superior stainless steel material to ensure that it’s durable enough to withstand even the harshest conditions. Utilizing the steel alloy is perfect for this application, as its resistance to corrosion and staining, along with its low maintenance makes it the ideal material to use for a bold and strengthened body of a tank. It also adds to its quality and durability by utilizing a pyrex glass reinforcement, which has become a common material that’s capable of withstanding even the most acidic e-liquids. Developing the FreeMax Mesh Tank with a cross pattern throughout its chassis was ingenious, as it delivers an element of appeal that’s striking, to say the least. It’s available in several finishes as well to suit your preference, including stainless steel, black, gunmetal, blue, gold, rainbow, as well as optional finishes that include resin and carbon fiber. The FreeMax Mesh Tank boasts a 24mm diameter, allowing for a reasonable 3ML e-liquid capacity despite it being such a compact piece of hardware. It features a 13mm wide bore drip tip and dual bottom airflow control that really enhances its ability to perform at the best. To further increase its performance, the FreeMax Mesh Tank utilizes the FireLuke Mesh Coil System, which includes a 0.15-ohm Mesh Coil that’s able to support up to 90W of vaping power. It also sports a threaded top-fill design that makes using the tank and refilling it very convenient, resulting in a much more satisfying experience with the FreeMax Mesh Tank.